Today's guest posters Paulo Serôdio, Martin McKee, and David Stuckler, recently published a paper in Public Health Nutrition about Coca-Cola's transparency initiative whereby using a tool they'd created, they found that Coca-Cola's transparency initiative failed to identify over 95% of the 907 authors who published one of the 389 articles funded by Coca-Cola. What was also clear was that Coca-Cola's funded research focused primarily on emphasizing the importance of physical activity and the concept of ‘energy balance’. Stay tuned for more from these 3 on this file in the nearish future! Is Coca-Cola really a model of research transparency? Can we trust research on nutrition paid for by Big Food? Some argue that, as the industry profits from sugar-sweetened beverages, known to increase risks of childhood obesity and diabetes, they can be expected to support research that creates confusion and doubt about those risks. Others contend that researchers are independent and, as funders have no role in the study design, methods, interpretation or publication, the findings can be trusted. What both sides agree on is the need for transparency. Its importance became clear in August 2015, when the New York Times published documents, obtained using freedom of information laws, that Coca-Cola had provided $1.5 million in financial and logistical support to the “Global Energy Balance Network”, a non-profit organization led by influential academics at the Universities of Colorado, West Virginia and South Carolina, and whose main message was that there was no compelling evidence of a significant link between sugar-sweetened beverages and obesity. 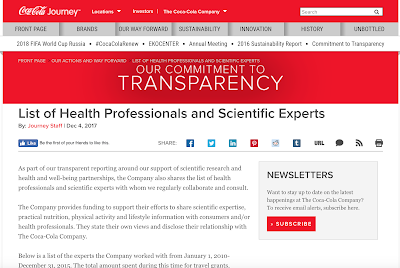 In response, Coca-Cola company published its so-called “Transparency Lists” of a combined 218 researchers and health professionals whom they had funded since 2010. In our recent paper, we constructed a new database of the scientific articles published since 2008 reporting funding from Coca-Cola. We did this by writing a computer program to extract and parse funding statements from articles, captured by Thomson Reuters’ Web of Science database. We have made the program, written for R-software, publicly available and we hope that others will use it to search systematically search for literature funded by those with vested interests in research, such as the agrochemical, alcohol, tobacco, and other industries (freely available for download here). Question 1: Are Coca-Cola’s transparency lists complete? Using the data we gathered from Web of Science, we built a list of researchers who authored scientific articles where Coca-Cola’s funding was acknowledged, by following the same criteria that guided the makeup of Coca-Cola’s own transparency disclosure, which are available from Coca-Cola’s transparency website. We found discrepancies between the list of names that Coca-Cola’s disclose as people they fund and what can be found publicly in Web of Science. Overall, we identified 471 authors, involved in 128 Coca-Cola-funded journal articles (published between 2010 and 2015), who report Coca-Cola funding but do not appear in Coca-Cola’s transparency disclosures. Question 2: How many studies and authors are funded by the Coca-Cola brand? If we expand our search to the Coca-Cola brand, and include research published before 2008 and after 2015, we find that the company and its affiliated organizations have funded 461 studies between 2008 and 2016, involving 1,496 different authors (we concede not all were grant recipients). We provide a visualization of this research in the form of a co-authorship network where every researcher (nodes in the network) is linked to another researcher if they co-authored an article that acknowledges funding from the Coca-Cola brand (see Figure 3). To put Coca-Cola’s transparency initiative in perspective, we apply a network partition color scheme that highlights (1) researchers that appear on Coca-Cola’s transparency disclosures; (2) researchers that declare funding but did not appear on Coca-Cola’s transparency disclosures, and (3) researchers funded by Coca-Cola’s international affiliate companies (subsidiaries and bottlers). Question 3: Which research topics and interventions are supported by the company? Using structural topic modeling, a method of quantitative text analysis, we found that this research focused predominantly on topics such as “energy balance” and “physical activity”, a narrative that tends to divert attention from sugar and calorie consumption (you can find an interactive data visualization of the research topics here). Question 4: Are Coca-Cola funded researchers declaring their links to the company in their publications? 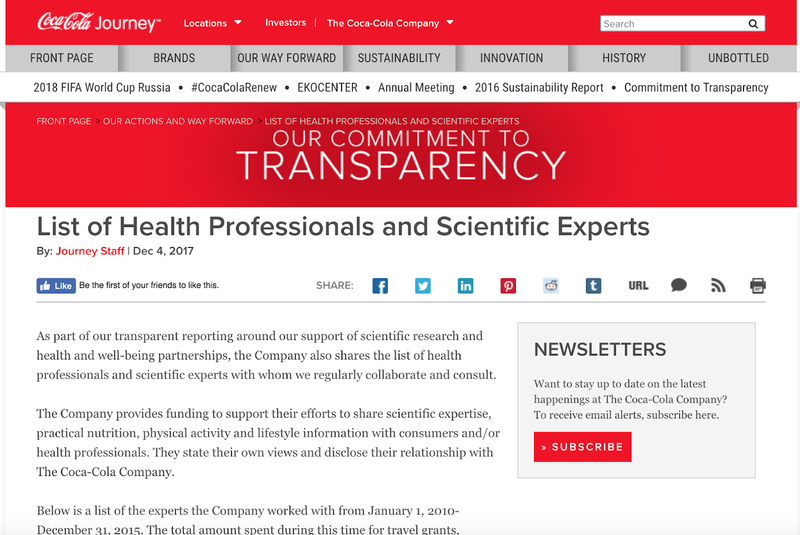 We found that 17% (38) of researchers on Coca-Cola’s transparency list did not acknowledge funding from the company in their subsequent publications. Obviously, we could not tell whether this omission was intentional, but were it not for the company’s public acknowledgement, we would not know these researchers had collaborated with the company. So can we trust Coca-Cola’s disclosures? Our study suggests that Coca-Cola has taken a positive step in releasing details of research it funds, but it is clear that still a great deal of information is missing. Both the company and the researchers underreport their funding. This may be in an effort to minimize funding when it could be attached with a stigma in the eyes of public health researchers. Relying exclusively on funding statements may also give us an incomplete picture, as they often do not include the necessary information to identify the Principal Investigator(s) and the year in which the grant was awarded. Nonetheless, approaches such as ours can help improve transparency in two ways. First, by aggregating research funded by Coca-Cola we can reveal the scale of the company’s involvement in research as well as providing a benchmark that can be used to evaluate the company’s transparency pledge; second, we leverage the company’s transparency disclosure to assess how good are researchers at revealing Coca-Cola’s financial support. Our results underscore the need for transparency to avoid potential conflicts of interest in research funding. 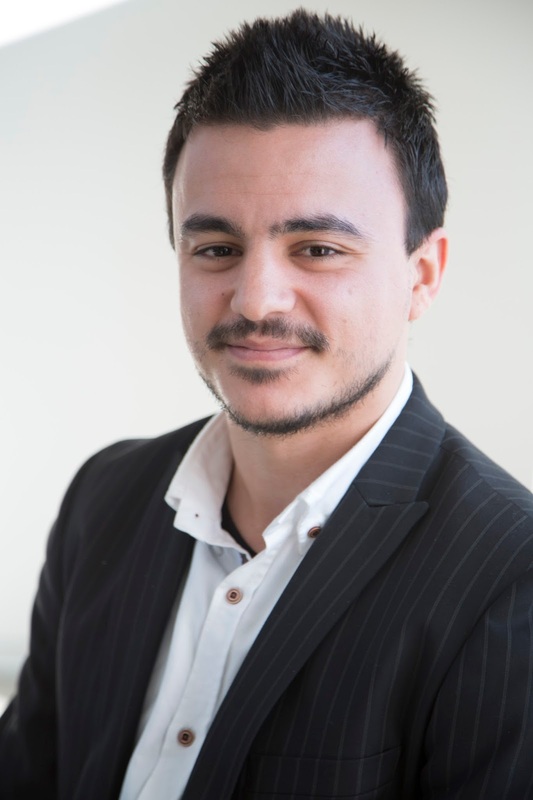 Paulo Serôdio is a postdoctoral researcher at the School of Economics of the University of Barcelona, an associate member of the Department of Sociology of the University of Oxford and a visiting fellow of the Paris Institute of Complex Systems. His research merges insights from the fields of political economy, network science and data mining to study corporate influence on politics. 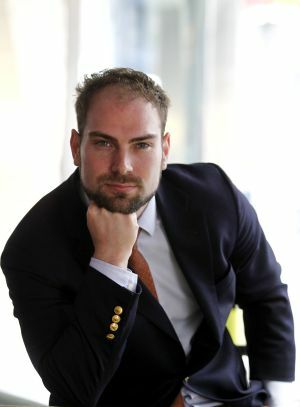 David Stuckler is a Professor of Policy Analysis and Public Management, Bocconi University in Milan. 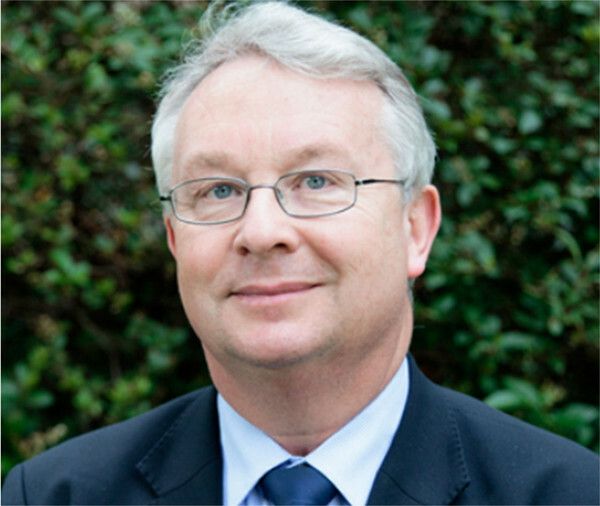 His research uses large datasets and statistical modelling to understand the root causes of epidemics.